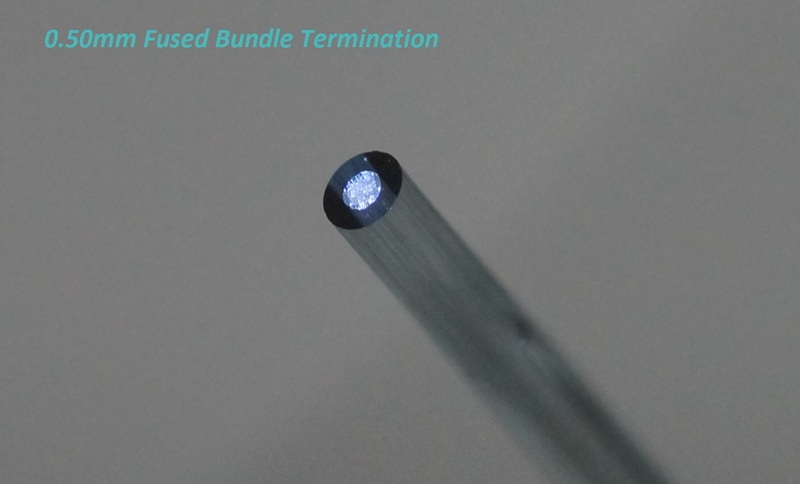 We manufacture our cables with High Strength Blue Enhanced Borosilicate fibers. 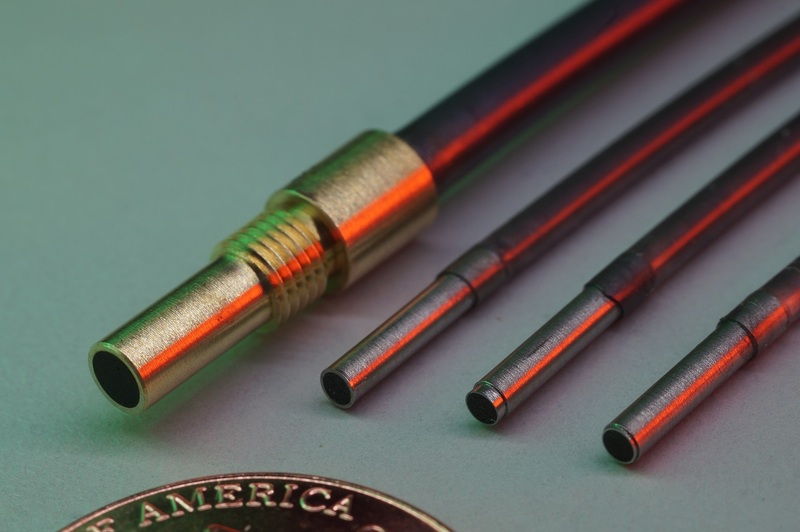 The fibers are sheathed with a Class VI medical grade 100µm wall silicone tubing using our FIBER SHEATHING PROCESS. This process insures the fibers remain flexible & durable. The quality attributes of our Borosilicate fibers can be traced back to the original glass melts. This lot control method assures our cables will always meet or exceed the optical and mechanical requirements set by the Medical Industry. Our cables can also be pre-coated with Moly-Powder for easy insertion into the customer's scope. Thin-wall PVC or Silicone thin-wall jacketed fibers can be manufactured to your specifications. 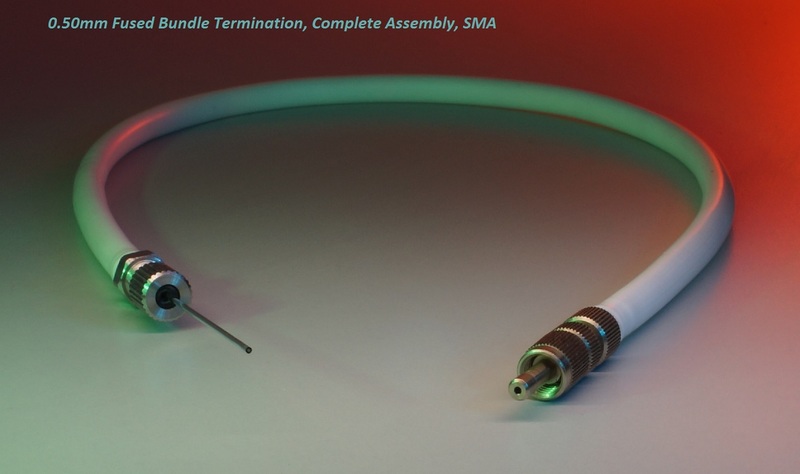 By FUSING the ends of our glass fiber optic bundles, we can provide cables that can withstand temperatures up to 400 Deg C. The cables are terminated with ST, SMA or a custom connector depending on system requirements.